Two field experiments were carried out in Researches and Production Station of National Research Centre, Al-Nubaria District, Al Behaira Governorate, Egypt. To study the effect of indole acetic acid (IAA) and /or gibberellic acid (GA3) on growth, photosynthetic pigments, yield, and chemical composition of mungbean seeds, different concentrations of IAA and/or GA3 were used. Results indicated that all treatments caused significant increases in morphological criteria, biochemical parameters, and yield of mungbean plants. IAA or GA3 with 50 mg/l concentration recorded the best values growth photosynthetic pigments, as well as, endogenous auxins, GA3, and cytokinins. Interaction of IAA 50 mg/l + GA3 50 mg/l gave the most effective treatment. The superiority of treatment IAA 50 mg/l, GA3 50 mg/l, and interaction of IAA 50 mg/l + GA3 50 mg/l recorded the same trend due to yield and yield components in characters’ plant height, pods no./plant, pods weight/plant, seeds no./pod, seed yield, straw yield, biological yield, total carbohydrates, protein in seeds (%), and N in seeds (%). It could be concluded that foliar spray of 50 mg/l IAA + 50 mg/l GA3 was the most effective treatment on increasing growth and yield of mungbean. Mungbean (Vigna radiata L. Wilczek) is a summer pulse crop with short duration (70–90 days) and double use (forage and seed) and high nutritive value. Forage contains 12–18% protein but seeds contain 22–28% protein, 60–65% carbohydrates, 1–1.5% fats, 3.5–4.5% ash (El Karamany 2006). Mungbean is commonly used in cooking using green and mature pods. Sprouts are rich in vitamins and amino acids also, in broilers’ diets as untraditional feeding stuff or its husks as crop by-products for feeding rabbits (Omer et al. 2017). Plant growth regulators (PGRs) are known to influence plant growth and development at very low concentrations. Moreover, the response of the plant to PGRs may vary with species, varieties, environmental conditions, physiological and nutritional status, stage of development and endogenous hormonal balance (Naeem et al. 2004) delays senescence (Shah 2007). Plants have the ability to store excessive amounts of exogenously supplied hormones in the form of reversible conjugates which release active hormone when the plants need them during the growth period (Davies 2004). 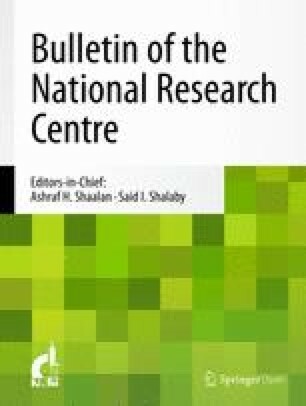 Ammanullah et al. (2010) mentioned that plant growth substances are known to enhance the source-sink relationship and stimulate the translocation of photo-assimilates to sink thereby helping in effective flower formation, fruit, and seed development and ultimately enhancing the productivity of crops. Various plant growth regulators which regulate growth under normal or stress conditions are auxins. Generally, auxins are the best hormones for use because they are non-toxic to plants over a wide range of concentration and effective in promoting the root system of a large number of plant species. Auxins might regulate cell elongation, cell division, tissue swelling, formation of adventitious roots, callus initiation, induction of embryogenesis, and promoting cell wall loosening at very low concentrations (Taiz and Zeiger 2006). The principal auxin in plants is indole-3-acetic acid (IAA) that produced mainly in the shoot apex bud and young leaves of plants. Other meristematic tissues, flowers, fruits, and young seeds have also been shown to be sites of this hormone production (Sadak et al. 2013). Gibberellins (GAs) are the most important natural growth regulators and generally involved in the growth and development of different plant. They control seed germination, leaf expansion, stem elongation, and flowering (Magome et al. 2004 and Kumar et al. 2018). Gibberellic acid (GA) is used to induce great changes in the growth characters, chemical composition, and yield criteria of the plant. Choudhury et al. (2013) stated that GA3 treatment increased the growth and yield of the tomato plant. So, this study is an attempt to improve plant growth and yield quantity and quality of mungbean plant under new reclaimed sandy soil, through improving some physiological and biochemical processes by using naturally occurring substances IAA and GA3. Two field experiments were carried out during summer seasons of 2016 and 2017 in Researches and Production Station of National Research Centre (NRC), Al-Nubaria District, Al Behaira Governorate, Egypt. The experimental soil before sowing was analyzed according to Chapman and Pratt 1978. Soil texture was sandy, and its characteristics are shown in Table 1. The experiment design was complete randomized block design in three replicates. Area of each plot was 10.5 m2 (6 rows × 0.50 m width × 3.5 m length). Seeds of mungbean variety (kawmy-1) inoculated with a specific strain of bacteria and hand seeded in hills 0.30 m between (2 seeds/hill) on the 15th and 17th of June in both seasons. The soil was immediately irrigated after sowing using sprinkler irrigation system. Fertilization of NPK at a rate of (33:32:24)/feddan (4200 m2) in the form of ammonium nitrate 33% N; superphosphate 15.5% P2O5 and potassium sulfate 48% K2O. Other cultural practices were done due to those recommended for mungbean. Plant samples were taken after 60 DAS from sowing random sample of 0.5 × 0.5 m2 was cut for determination of growth criteria (shoot length, branches, and leaves no/plant, leaves fresh dry wt/plant) and estimation of some biochemical parameters in leaves of the plant such as photosynthetic pigments and endogenous phytohormones. At harvest (90 DAS) 10 plants from each central plot were randomly taken for yield components measure but the whole yield of each plot (10.5 m2) was harvested for character measure per feddan and then the following characters were determined: (1) plant height (cm); (2) pods no./plant; (3) pods weight/plant; (4) seeds no./pod; (5) seed yield (ton/feddan); (6) straw yield (ton/feddan); (7) biological yield (ton/feddan); (8) total carbohydrates (%); (9) protein in seeds (%); (10) N in seeds (%). Feddan = fed. is a local unit area equal (4200 m2). Photosynthetic pigments content as Lichtenthaler and Buschmann (2001). Based on the results of the first season (2015), the most promising treatments were selected for the determination of endogenous regulators. These endogenous growth hormones, namely, auxins, gibberellic acid, abscisic acid (ABA), and cytokinins were extracted according to Wasfy and Orrin (1975). IAA, GA, and ABA contents were determined by gas–liquid chromatography (GLC) according to the method described by Wasfy and Orrin (1975) and cytokinin content was determined by high-performance liquid chromatography (HPLC) according to the method described by Muller and Hilgenberg (1986). The phenol-sulfuric acid method was used for the determination of total carbohydrates (Dubois et al. 1956). Nitrogen and protein contents were determined with micro Kjeldahl's apparatus according to the method described by Miller and Houghton, (1945). Crude protein was determined according to Bradford (1975) (multiplying nitrogen contents by 5.75). The obtained results were subjected to statistical analysis of variance according to the method described by Snedecor and Cochran (1990), since the trend was similar in both seasons the homogeneity test Bartlet’s equation was applied and the combined analysis of the two seasons was calculated using SAS software version 9.32. Means were compared by using the least significant difference (LSD) at 5% levels of probability. Data of the vegetative growth criteria of mungbean under sandy soil are presented in (Table 2a–c). The obtained results show that application of the two growth regulators (IAA and GA3) individually (Table 2a, b) or in combination (Table 2c) caused significant increases in the growth criteria (shoot length (cm), branches and leaves no./plant, leaves fresh dry wt/plant (g)) of mungbean plant as compared with that of the control plants. The highest values of growth criteria were obtained from the application of 50 mg/l IAA + 50 mg/l GA3 treatment as compared with those obtained from the control and other treatments. Regarding IAA treatments individually, it was found that treating mungbean by 50 mg/l IAA was the most effective treatment. Also, the most effective GA3 treatment individually was 50 mg/l. The changes in chlorophyll a, chlorophyll b, carotenoids, and total photosynthetic pigments in response to IAA and/or GA3 treatments are shown in Table 3a–c. Data reveal that IAA and/or GA3 treatments caused significant increases in photosynthetic pigment constituents as compared with control. The highest values of photosynthetic pigments were recorded by treatment of 50 mg/l IAA + 50 mg/l GA3. Based on the obtained results of the first season 50 mg/l GA3 and 50 mg/l IAA as individual treatment as well as 50 mg/l GA3 + 50 mg/l IAA as mixture treatment were selected to determine the endogenous phytohormones content as shown in Table 4. Individual treatments of 50 mg/l of both GA3 or IAA as well as combined treatment of 50 mg/l GA3 + 50 mg/l IAA caused increases in IAA, GA3, and cytokinin (zeatin) contents concomitant with the decline in ABA contents of mungbean plants as compared with control plant. Using the combined treatment of both GA3 + IAA with 50 mg/l was the most effective treatment as shown in Table 4. Data in Table 5a–c indicated that IAA and/or GA3 treatments caused increases in yield and yield attributes (plant height, pods no./plant, pods wt/plant, seeds no./pod, seed wt, straw, and biological yield/feddan) of mungbean. Furthermore, the highest values of yield were obtained from the application of 50 mg/l IAA + 50 mg GA3. Soaking mungbean seeds in different concentrations of IAA or GA3 individually increased markedly yield of mungbean. These increases in yield attributes could be a reflection of the promotive effect of growth regulators on plant growth (Table 2) and marked increases in the photosynthetic pigments content and endogenous phytohormones (Tables 3 and 4), which could lead to increase in photo-assimilates and greater transfer of assimilates to the yield (Table 5). Data in Table 5a–c reveals that IAA and GA3 treatments significantly increased total carbohydrate, protein, and nitrogen contents in the yielded seeds of the mungbean plant compared with the control plants. Treatment of 50 mg/l IAA + 50 mg/l GA3 was the most effective treatment as it caused the highest total carbohydrate and protein contents of the yielded seeds. These results agree that treatments had an enhancement effect on growth as reported in some of the findings of Ibrahim et al. (2007), Sadak et al. (2013), and Choudhury et al. (2013) on faba bean for IAA treatments. Foliar treatment of IAA and/or GA3 caused marked increases in growth parameters of mungbean (Table 2a–c). These increments are similar to those reported by Kaya et al. (2013) and Sadak et al. (2013) on different plant species. IAA or GA3 as of the major two plant growth regulators IAA belongs to auxins and GA3 belongs to Gibberellins were reported to augment growth and development of plants by stimulating a wide range of processes, including cell elongation and tissue growth, phototropism and gravitropism, apical dominance, lateral root initiation, differentiation of vascular tissues, embryogenesis, senescence, fruit setting, and ripening (MacDonald 1997 and Taiz and Zeiger 2006). In addition, the promoting effect of IAA may be attributed to enlarging leaves and increasing photosynthetic activities as obtained in Table 3a–c (Naeem et al. 2004), increasing cell division and accumulation of building units accompanied by greater polysaccharides and total carbohydrates content (Sadak et al. 2013). Moreover, Atteya et al. (2018) confirmed the improving role of Gibberellic acid on growth characters of Simmondsia chinensis plant. Table 3a–c revealed the positive effect of IAA and/or GA3 on photosynthetic pigments constituents. These obtained results of different treatments are similar to those obtained by Kaya et al. (2013) on maize. Jacobs (1979) found that IAA presumably acts as a coenzyme in the metabolism of higher plants, thus it plays an important role in the formation of the photosynthetic pigments. These increases in pigments content may be attributed to the promotion of pigments synthesis and/or retardation of its degradation. Regarding gibberellic acid, Atteya et al. (2018) confirmed the enhancing role of gibberellic acid on photosynthetic pigments of Simmondsia chinensis plant. IAA and/or GA3 foliar treatment induced marked increases in IAA, GA3, and cytokinins, meanwhile decreased ABA contents of mungbean plants. These obtained data are similar to those obtained by El-Saeid et al. (2010), Barakat (2011), and Sadak et al. (2013) on cowpea, wheat, and faba bean plant. These increases in different growth bioregulators could be attributed to the enhancement in their biosynthesis and/or decreases in their degradation (Taiz and Zeiger 2006). Different treatments improve endogenous phytohormones via decreasing activity of their degrading enzymes (Letham et al. 1978). Whereas the decreases in ABA contents might be referred to the shift of the isopentenyl pyrophosphate which is the common precursor into cytokinin and/or gibberellins biosynthesis instead of ABA (Hopkins and Hünter 2004. Data in Table 5a–c indicated that IAA and/or GA3 treatments caused increases in yield and yield attributes. In this concern, Ammanullah et al. (2010) reported that plant growth substances enhance the source-sink relationship and stimulate the translocation of photo-assimilates to sink thereby helping in effective flower formation, fruit and seed development, and ultimately enhancing the productivity of crops. Abdoli et al. (2013) mentioned that IAA is the major naturally occurring auxin that increases stem elongation, cell expansion, growth rate, and yield. Gibberellins are one of the main regulators of plant growth and development, and they normally act by signaling the removal of proteins that repress growth thus promoting cell proliferation and elongation (Ubeda-Tomás et al. (2009). The promoting effect of gibberellic acid may be ascribed to stimulating the mobilization of nutrients toward the buds thereby increasing cell division and/or increasing the differentiation of the vascular (Chen et al. 2014). Also, the increases in the yield of mungbean plants by application of different treatments relative to untreated plant might result through breaking the apical dominance of mungbean plants leading to the increase in flowering branches and consequently the number of fruits. The increases in seed weights might be ascribed to the promotive effect of IAA and/or GA3 in increasing the assimilates and their translocations from leaves to the fruits where the seed weight increased (Mostafa et al. 2005a, 2005b; Chen et al. 2014; Mekki 2016; and Kumar et al. 2018). Data in Table 5a–c reveals that IAA and/GA3 treatments significantly increased total carbohydrate, protein, and nitrogen contents in the yielded seeds of the mungbean plant compared with the control plants. Treatment of 50 mg/l IAA + 50 mg/l GA3 was the most effective treatment as it caused the highest total carbohydrate and protein contents of the yielded seeds. These results agree that treatments had an enhancement effect on growth, as reported in some of the findings of Ibrahim et al. (2007), Sadak et al. (2013), and Choudhury et al. (2013) on faba bean for IAA treatments and. It can be concluded that treatment of IAA 50 mg/l + GA3 50 mg/l was an effective treatment to increase mungbean growth, photosynthetic pigments, endogenous phytohormones, yield, yield components, and chemical composition of the yielded seeds as low input technology for improving the yield of mungbean. It was a needed complementary research on mungbean as double purpose crop (forage and seed). All authors share in every step of this work and all of them contribute to writing the manuscript. All authors read and approved the final manuscript.